Our affordable Ramara, Lake Simcoe pontoon boat rentals give you the opportunity to experience time on the water whether you would like to go out for a swim, enjoy some fishing, or simply explore and relax and take your family out for a fun time. Your pontoon boat rental includes all safety equipment and we will give you a full introduction to the boating area, the boat itself and safe operation. 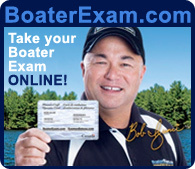 A valid Pleasure Craft Operators Card is required. 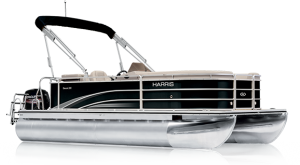 Harris 220 Cruiser Pontoon w/ Mercury 50ELPT BF S#7392 Black.